Memphis Depay was tipped to greatness when he joined Manchester United in 2015. The winger had a wonderful season with PSV Eindhoven, as his 22 goals ended Ajax’s dominance in the Eredivisie. Louis van Gaal made him one of his first signing, handing the youngster the famous no.7 jersey. Depay had immense pace and acceleration, but failed to cope up with the Premier League‘s physicality. This brought in criticism from all corners, and Van Gaal was forced to bench the player often as the season progressed. 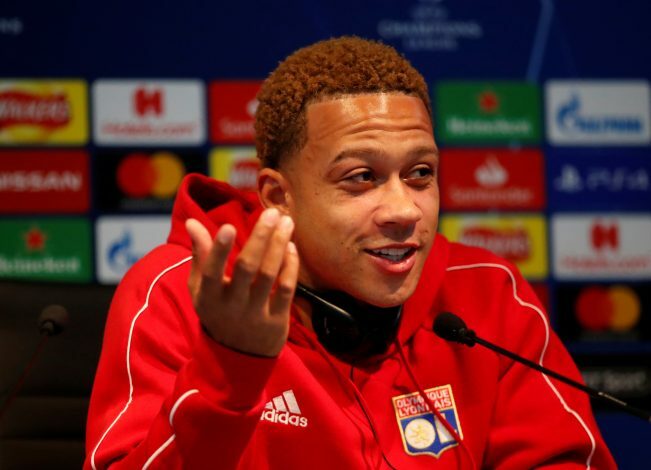 Memphis failed to impress Jose Mourinho when the Portuguese arrived at the club, and ended up joining Lyon at the start of 2017. But Jose believed in the player’s abilities, and forced Manchester United to insert a buy-back clause in his contract with the French outfit. Depay had a great last season in Ligue 1, as he found the net 22 times in 51 appearances. Subsequent reports suggested that the Red Devils could make a move for the Dutchman, as they look to solve their issues on the right wing. In a recent interview with Helden magazine (via SoccerNews.nl), Depay talked about his future at Lyon, and revealed his top five preferences in Europe. Surprisingly, the 24-year-old left out Manchester United, but included their rivals, Chelsea and Manchester City. None of these clubs, however, are said to be interested in making a move for the player at present. His recent performances haven’t been great as well, scoring only 6 goals in 22 appearances this season. It is clear that Depay needs to put in a lot more effort into his game and perform well regularly if he expects to secure a move to a big club soon.